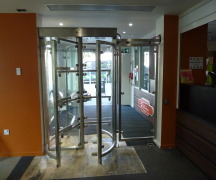 All Ultimation electric sliding gates are manufactured from high strength steel, which provides a more robust product than alternate construction methods. 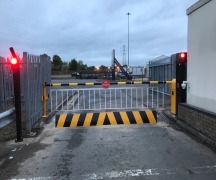 These electric sliding gates are manufactured to the client’s individual requirements and are available in any size up to 14m clear width by 3.5m height. Both manually operated and automatic versions are available. They have an attractive appearance, which may be enhanced with a choice of infill options ranging from vertical bar, palisade, weldmesh or timber. 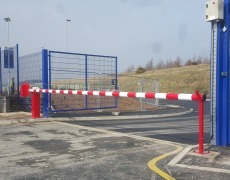 We are also able to fit finials or anti-climb topping to the gates as required. 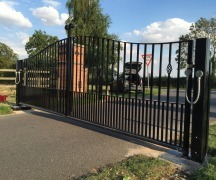 These gates are powered by a three phase, inverter driven motor/gearbox. This ensures smooth operation with variable speed functions. 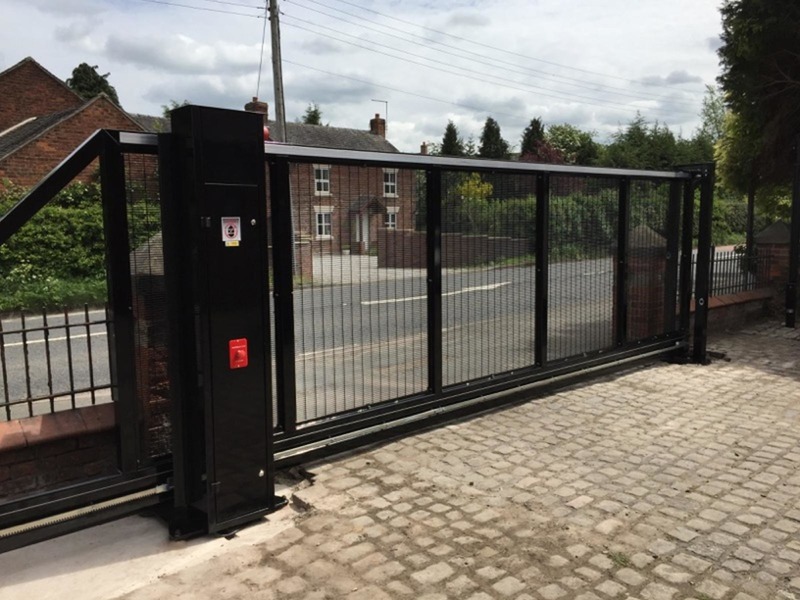 All our electric gates are fitted with safety systems as standard, which fully comply with all current and evolving safety legislation and best practice. Standard safety features include Category 3 touch sensitive buffers and dual photocells. 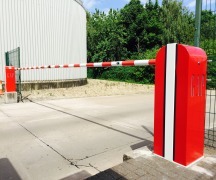 In addition, we offer in ground safety induction loops and flashing visual warning beacons.